In a Nutshell: Whether it’s office buildings, industrial facilities, or space for retail stores or restaurants, commercial real estate is an attractive prospect for investors. Some capitalists prefer property over stocks and bonds because it’s more tangible and has a relatively stable long-term capital appreciation rate compared with other commodities. Other investors look to diversify, and owning real estate is a popular form of doing so. 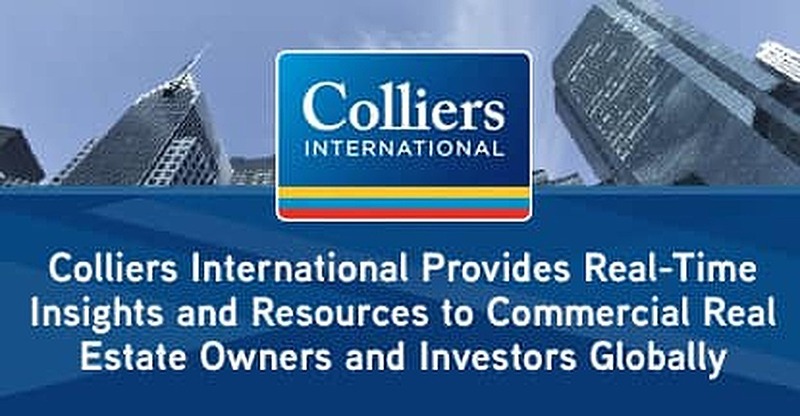 Colliers International helps investors and property owners all over the world by providing real-time insights and resources on project and property management. With more than $2.6 billion in annual revenues, the company has been successfully guiding investors toward lucrative property purchases since 1976. For those with the resources to make sizable property investments, buying commercial real estate has many benefits. For starters, commercial lease terms tend to be much longer than their residential counterparts, offering more stability and security. Additionally, commercial real estate properties aren’t subject to rent control laws, and they’re not nearly as heavily regulated by the government as residential property tends to be, so you’ll have a lot more negotiation power with your tenants. Moreover, you have the option to put into place a triple net lease, which assigns responsibility of maintenance costs to the company leasing the property. This means that your tenant is responsible for all property taxes, building insurance, maintenance, and repairs. These factors, among others, give you a lot of freedom and potential for a big return on investment. While investing in commercial real estate is not as straightforward or beginner-friendly as residential property, if you know what you’re doing, there is money to be made. This is where companies like Colliers International play an integral role in education and consultation by providing commercial real estate investors with relevant up-to-the-minute information about the international real estate market. In addition to facilitating transactions, Colliers offers property-related services like project management, property marketing, and tenant and landlord representation. Having insight into market trends and access to experienced professionals helps you invest with confidence, knowing that you’re backed by a team that knows the industry, inside and out. With a global presence in 68 countries, Colliers International’s significant footprint means it knows about unique markets across the globe and it’s widely accessible to investors. Colliers has been in business for more than 40 years, and in 2016 alone, the company managed 2 billion square feet of real estate and represented $105 billion in transactions. Once clients are ready to take the plunge and invest in a piece of commercial property, Colliers’ worldwide team of over 50 professionals are ready to help them connect with the right opportunity. Its investment team has done all of the market research for you and continually shares data from transactions around the world. Colliers’ real-time insights and services, like property valuation, helps clients make the right investment decisions based on their individual portfolios, and safeguard their long-term investments moving forward. Financing professionals at the company work with some of the biggest names in the industry, including the Federal National Mortgage Association (FNMA), Federal Home Loan Mortgage Corp (FHLMC), and Sovereign Wealth Fund placements for debt and equity. Once you provide Colliers with your property performance requirements, income goals, and risk profile, it can pair you with different capital solutions to support your strategy. Having access to a team that has its finger on the pulse of international real estate markets can help you successfully manage long-term — and sometimes long-distance — property investments around the world, accelerating your success in the market. Managing construction projects can be another key to a profitable commercial real estate endeavor. The primary role of project managers in this industry is to ensure that your construction projects are completed on time and on budget, and that the building is built to your specifications. It’s important to work with project managers who understand how to properly handle the different stages of construction, especially in the commercial space because of industry-specific rules regarding permits and zoning. Conversely, a poorly managed project can cause delays in product launches and cost you time and money. Colliers International’s project managers help ensure that the overall operations of your commercial investment property run smoothly. You’ll have access to experts in areas like the design and engineering space, and those with experience in permitting and supply-chain support. Colliers is also well-versed in working with a client’s existing in-house team of experts, eliminating the need for additional training and freeing you up to focus on other important aspects of your business. This allows you to run your project with maximum efficiency so all deadlines are met and tenants are happy. 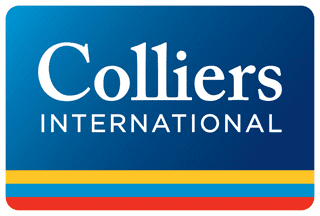 Colliers International is built to provide all-encompassing services for the commercial real estate field. By working with a team of more than 400 professionals and green-building associates, Colliers implements a sustainable, eco-friendly building approach and provides services that range from bid document review to construction management. 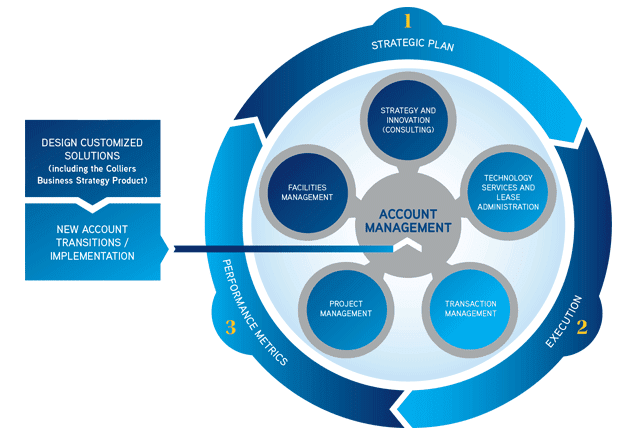 With an experienced project management team on board, you’ll protect your investment and minimize your overall risk. High interest and inflation rates can lead to unstable real estate prices, so ensuring that a property’s value is accurately assessed is vital to your investment strategy. A sound economic analysis by a team that knows the property market and is equipped with real-time property and competitor insights is one of the keys to ultimately getting the best return on your investment. Colliers has fine-tuned the accuracy of its reports so you receive concise, pre-reviewed and approved appraisals in a timely manner. The organization’s valuation consultants have valued everything from one-of-a-kind recreation destinations to historical properties. Through them, you’ll gain access to arbitration and counseling, litigation support, feasibility studies, and single asset valuation. With more than 15,000 professionals worldwide, Colliers International has been empowering folks in the commercial real estate space to make wise property investments since 1976. The organization’s global footprint, real-time insights, and massive annual revenue make it a standout in consulting, and a big contributor to the good fortune of many investors who work with its teams. As an investor, you want to get the right property at the right cost, saving you thousands and potentially millions of dollars in the long run, depending on the size of your project. Going it alone is never a good idea in this evolving market, but with a team behind you that can help you understand negotiation strategies and real estate market trends, you can feel confident that you’re doing the most to maximize your return on investment.